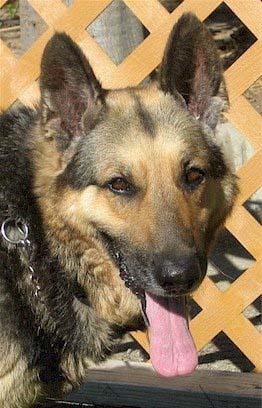 Dallas is a very sweet, mature lady around 5-6 years old, on the smaller side at around 65 pounds and wrapped in a classic black and tan coat. She came into our program with severe ear infections, tumors, cysts and a foxtail in her urinary tract. Through it all, she's been happy, sweet, good-natured and patient. When we first got her, she could barely hear due to her severely blocked ear canals, but she has since regained much of her hearing now that her ear infections have started to clear up. 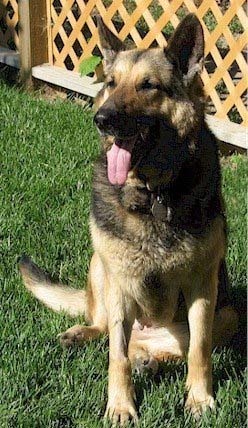 Dallas has allergies that contribute to her ear infections. She does well on Benadryl twice a day and she needs a grain-free diet. She'd probaby do best in a home without a lot of carpeting. This loving girl always has a smile on her face and a wagging tail. She's very easy to live with, she is completely housebroken and very well-behaved, with exemplary house manners. She is quiet and unassuming, and is happiest lying near her person, with occasional nudges for pets. She's very low energy and doesn't require more than a casual stroll around the neighborhood. 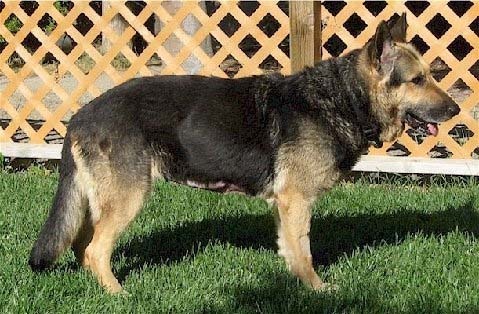 True to form with most mature female German Shepherds, she's a typical bossy female around other dogs, and holds her own against much bigger males. She will try to dominate younger females and smaller dogs at first, but gets over it fairly quickly. She enjoys playing with the other packmates upon occasion, but mostly she wants to hang out in the house with her person. 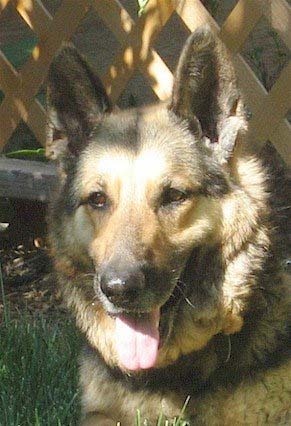 Dallas is looking for a nice, cozy home so she can share an easy life of retirement! NO CATS, NO SMALL DOGS.